Dobrodošli v Blockchain združenje! Welcome to Blockchain Association! implement and benefit from blockchain related technologies and innovations. Our mission is to connect developers, students, crypto enthusiasts and organizations, who wish to take part of the transition into the decentralized future, in order to foster knowledge sharing, testing, and development of impactful blockchain solutions. We envision blockchain technology to help us build a future where society and values of individual freedom, independence, governance and wealth are all strengthened, by creating new spectrums of transparency, security and efficiency. Numerous industries have already undergone significant change and more are expected to follow the disruptive trajectory over the coming years. Blockchain is expected to play a profound role in shaping the infrastructure of tomorrow. Wave of disruption is unavoidable and yet desireable. As we start leveraging the revolutionary technologies, we can embrace and test their powerful implications, and ultimately, solve some of the grandest challenges facing humanity. Acting as a catalyst in creating a public dialog around the positive leveraging of blockchain is the key to building strong relationships among technologists, policy makers, application specialists and cryptoenthusiasts. Movement across the globe are facilitating the efficient, ethical and rational adoption of blockchain technology so that the powerful innovation increases the quality of life for citizens and prevails into mainstream. We host social and informative events and debates to educate about blockchain technology, its impact, examples and regulation. We connect blockchain enthusiasts with universities and companies working with blockchain. We do tailored technology researches on the blockchain technology and its use cases. Advisory and consultancy on projects is our passion. We are eager to helping implement and benefit from blockchain related technologies. We partner up with similar initiatives around the world, to offer a range of opportunities for people to follow the blockchain evolution. We string together advisory boards & groups to advice on how we can promote Slovenia’s potential as a hub. Thank you! Your Message has been sent. Please try again! 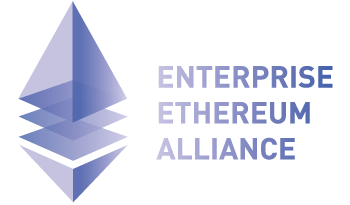 © 2017 Blockchain Association, All Rights Reserved.